Jag's is Going to the Super Bowl! Jag’s is proud to announce it is has been chosen by Freestore Foodbank to represent the Cincinnati Bengals during this year’s Super Bowl in Atlanta at the 2019 Taste of the NFL: Party with a Purpose. 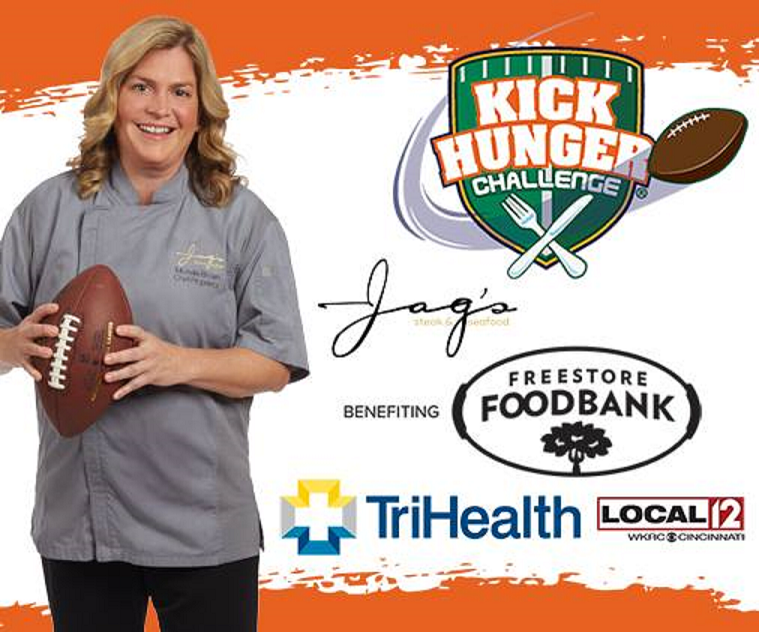 With $24,593 of contributions, amounting to almost 75,000 meals, Jag’s competed with various participating Cincinnati restaurants in the 2018 Kick Hunger Challenge — sponsored by TriHealth – which combined to contribute more than 150,000 meals to our neighbors. All dollars donated directly benefit the Freestore Foodbank to provide food, connection and hope to our neighbors. A Message from Chef Michelle: Thank You from Jag's Steak and Seafood on Vimeo. As a result of raising the most funds, Jag's has been chosen to represent the Cincinnati Bengals at Taste of the NFL in Atlanta on Saturday, February 2, 2019. Taste of the NFL is held on the eve of Super Bowl in the host city each year. More than 32 restaurant stations — one from each NFL city — provide food and wine pairings for guests to sample in a strolling food and wine event. Be sure to follow us on Facebook, Twitter, and Instagram for a behind-the-scenes look at all the action in Atlanta.